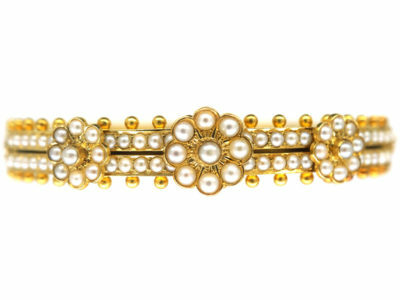 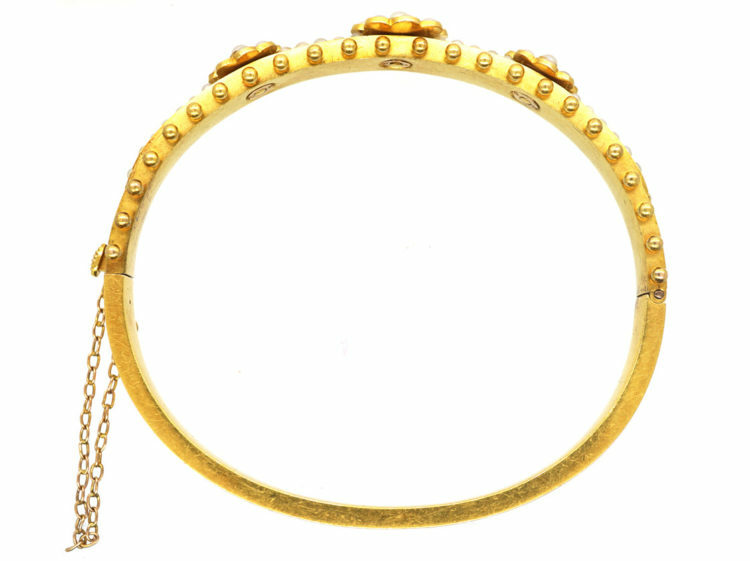 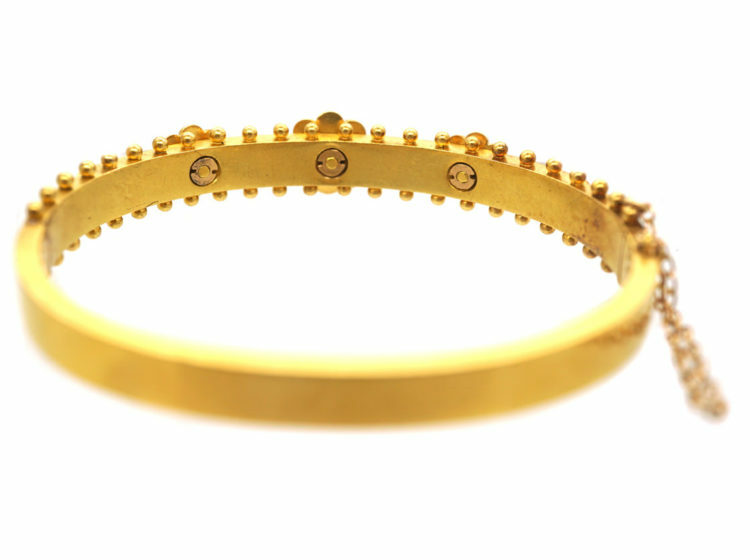 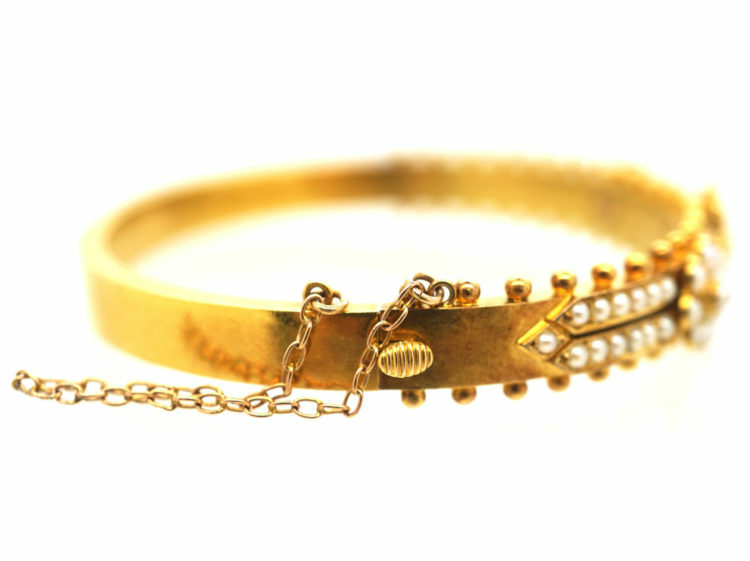 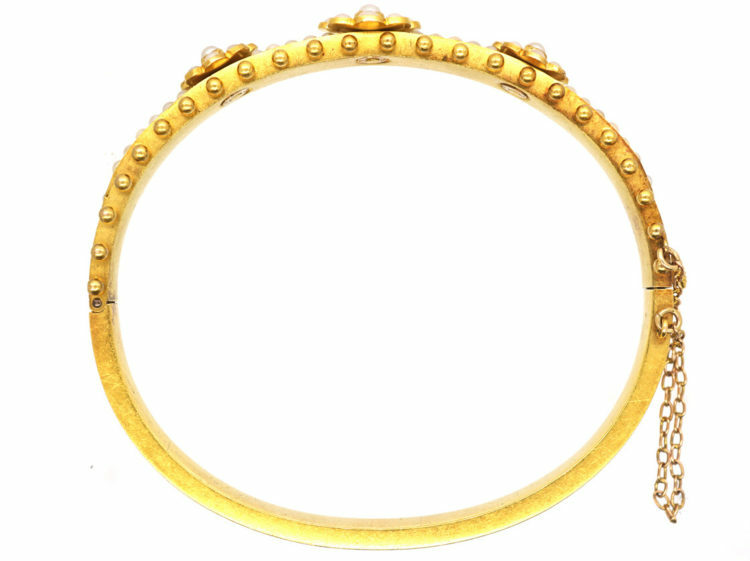 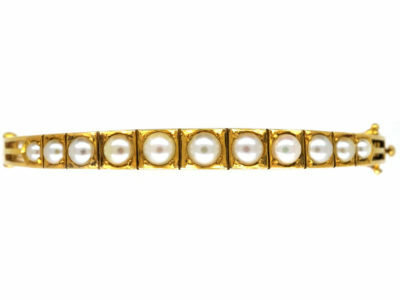 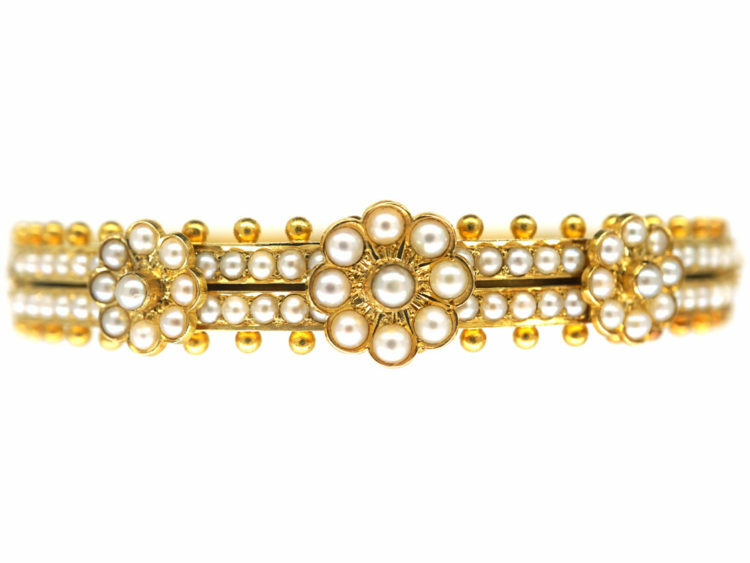 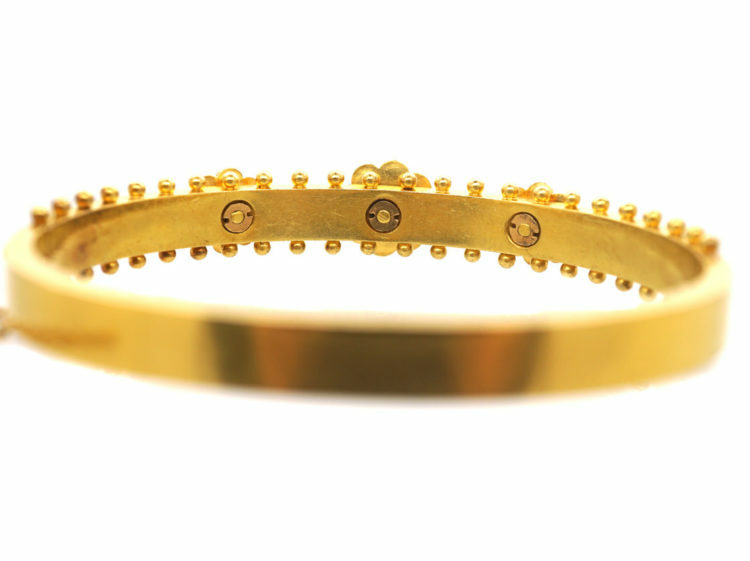 A beautiful 15ct gold bangle set with natural split pearls. 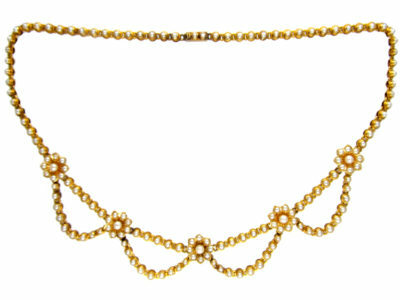 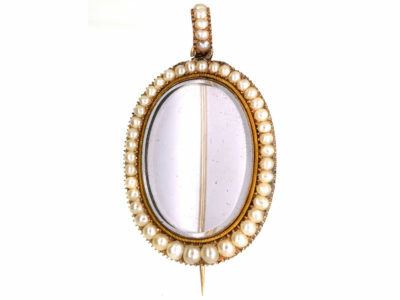 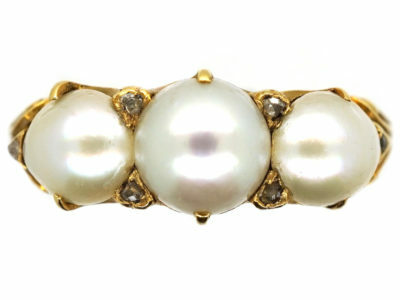 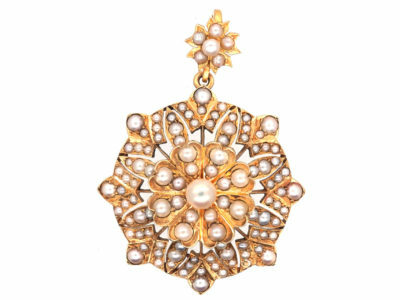 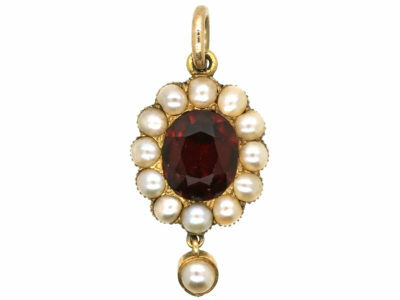 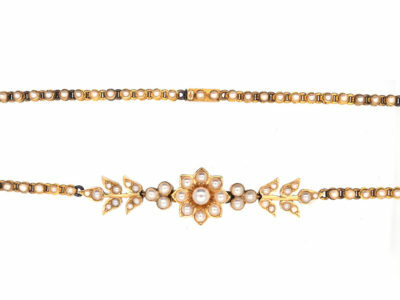 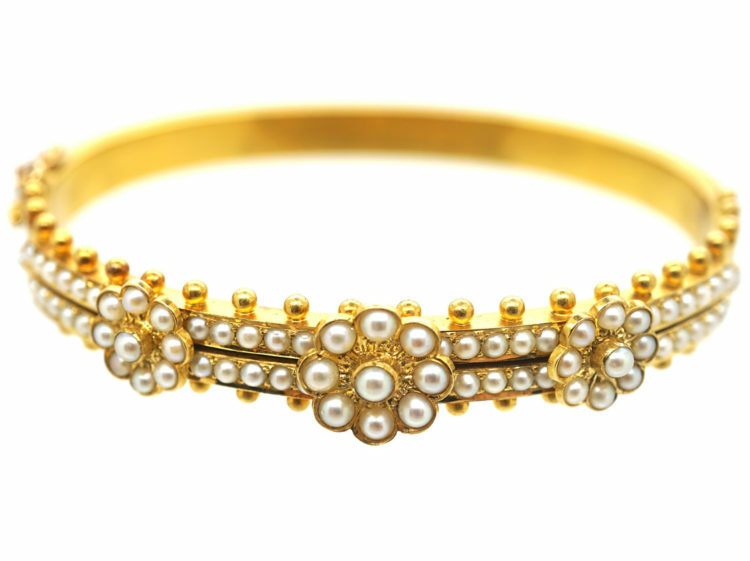 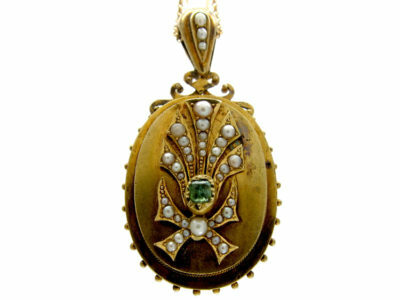 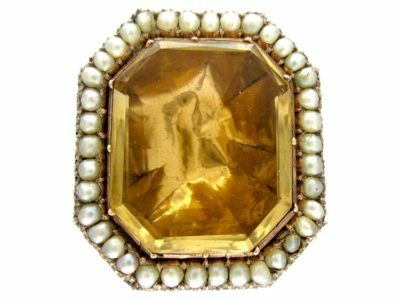 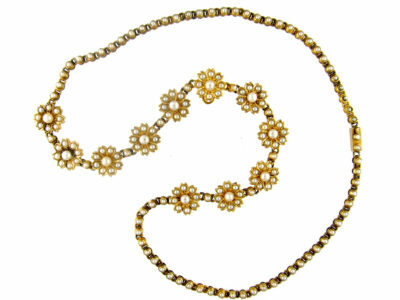 The Victorians were immensely fond of pearls and used them extensively in jewellery designs. 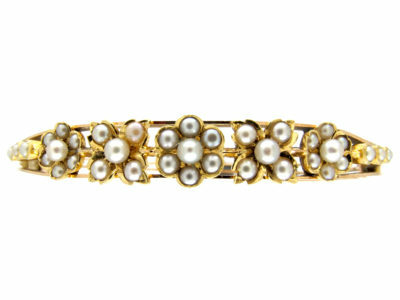 This bangle is a prime example of a very well made piece of jewellery using graded natural pearls throughout. 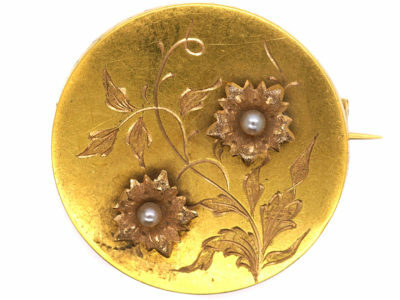 It was made circa 1880-1900.